Have you hugged the Pope today? The Pope is one of the most beloved and influential leaders on earth! Now you can bring home The Pope... in plush form! 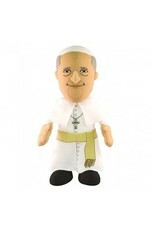 Measuring about 10-inches tall The Pope 10-Inch Plush Figure is a must have for all. 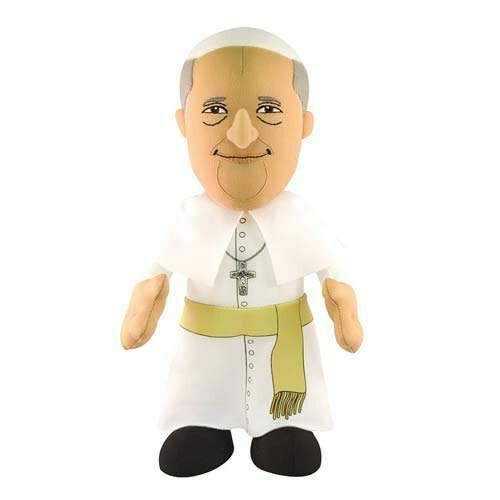 Be blessed and order The Pope 10-Inch Plush Figure today! Ages 3 and up. This is a bleacher creature, a true collectible. This image was created to honor the holy Father's visit to the United States of America. He has his white cap and golden sash, as well as his Cross and white skull cap. Playful way to learn and love the vicar of Christ. Great office addition, home display, child's toy, kid's creative learning tool. Catholic teachers may appreciate this addition to their classroom.